The distinct main showroom area created a dynamic backdrop to display the vehicles. 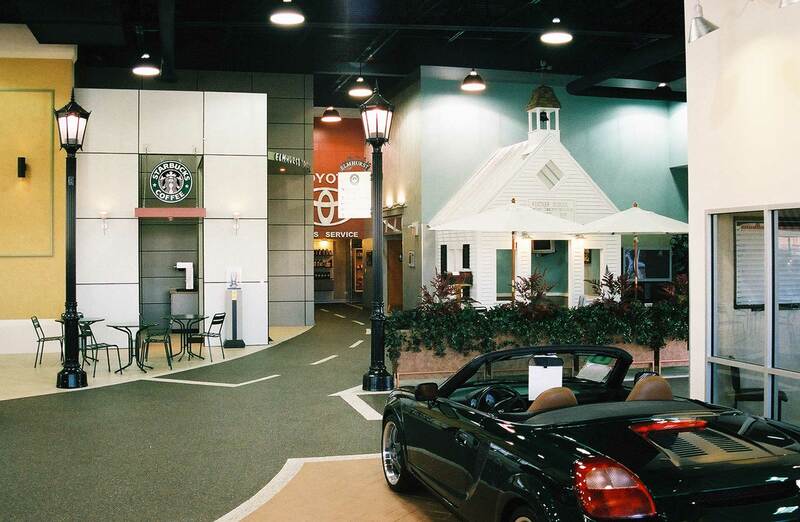 Lined with streetlights, a faux street paves the center of the showroom, and delineates a main focal display. The client wished to avoid the formulaic style of most dealership plans. The vision for this unique scheme was to present a distinct faux town streetscape. 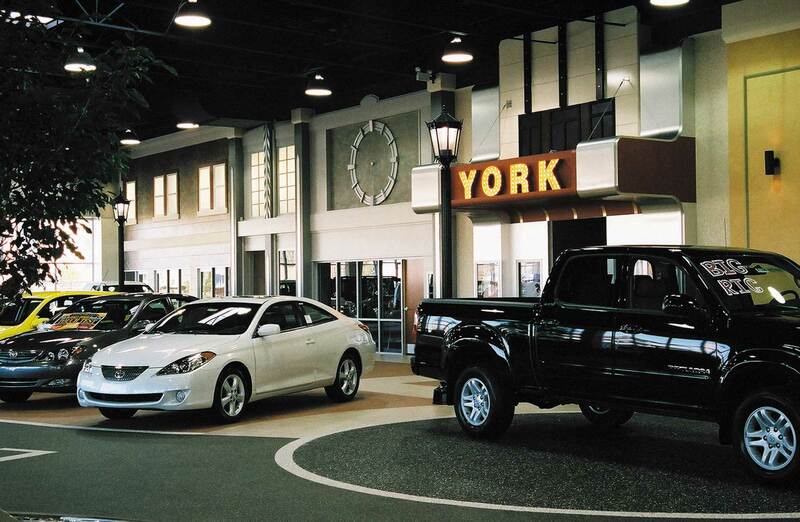 The distinctive “Main Street” showroom was lined with street lights, a movie theater marquee, and store front sales offices that abutted the paved “street” display floor with focal areas of contrasting stone. The waiting area contained a children’s play area made to appear like a historic schoolhouse, “outdoor” indoor seating areas, and a big screen theater. A “side street” led to the accessory store and to the service department.